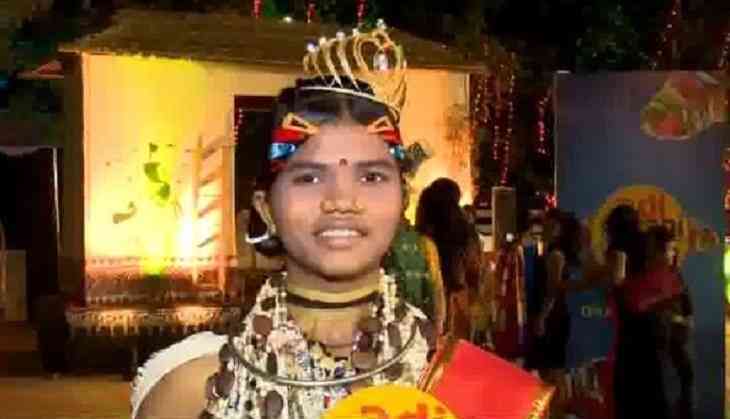 Pallavi Durua, who belongs to Odisha's Koraput district, was crowned as the first Tribal Queen at the Adi Rani Kalinga Tribal Queen competition held at Utkal Mandap here on Sunday. "Many tribal girls like me are not allowed to move around or study. After winning this crown, I hope I can be an example for others and they will also shed the superstitions and face the world," Pallavi said. Besides that, special awards were also given in seven different categories including tribal attire, photogenic face, best skin, best personality, the best presentation of ornaments, the best presentation of own culture and best in talent. Supported by the SC & ST Department, Government of Odisha and the State Tourism Department, the contest saw participants from different parts of the country represent their tribe in the final round, wherein the girls dressed up in their traditional attire and walked the ramp. "Today, we have created history. We have conducted a national level programme highlighting tribal cultures of our country. A 'rani' or a 'queen' is not only about beauty. Usually, when we talk about tribes, we represent them through their dance or art form. Through this contest, we have tried to give them their individual identity," said Dr Chidatmika Khatua, Chief Secretary General of the award committee.